In Part 1 of this blog, we talked about picking people’s brains in the hopes of understanding what makes them tick. Our mission today is trying to figure out B2C buyer behavior. But first let us say this: Here at Viral Solutions, we absolutely love delving into the psychology of humans. Not much rivals the study of the true motivations of your fellow earthly passengers. So now that we have admitted the fact that we are all a bit bewildered by the behavior of others and that we can’t truly know the mind of another human, let us say that in this blog post we will do our level best to help you discover the secrets of B2C buyer behavior based on facts we have accumulated, our own professional experiences, and the opinions of experts. You and I are in this together, so let’s just admit how little we don’t know. By doing so, we all instantly become more empowered because we have humbled ourselves and opened our minds. With these opened minds, we can do our best to tap into B2C behavior to help your business make more sales. This series began with this Viral Solutions blog post concerning the psychology of B2B customers. That 2-part blog post received such a great response that we knew the natural next step was to extend our study to include B2C buyer behavior. 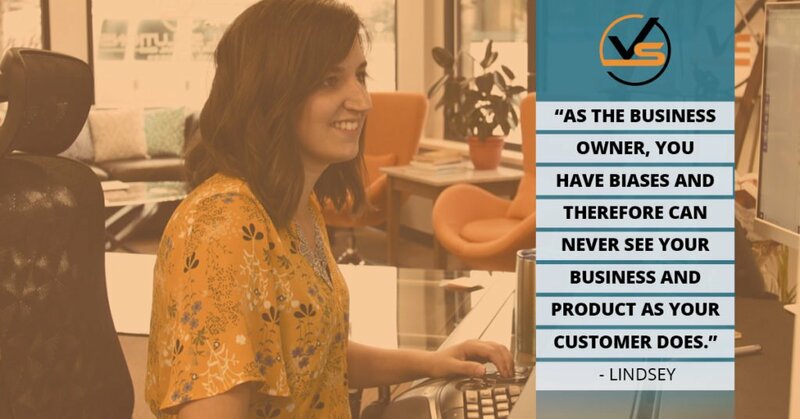 One important thing we discussed in Part 1 of this series, Sales Psychology: What You Need to Know About B2C Selling, was that, when a business is selling offline, they need to be very emotional, as buyers tend to purchase based upon how products make them feel. Whereas, when you are selling online, you have to tap into desires and pain points, AS WELL as differentiate yourself from your competition. In Part 2 of this series, our first step is to look at the differences between B2B buyer behavior and B2C buyer behavior. It’s no surprise that B2C buyer behavior differs from B2B buyer behavior. Consumers typically purchase goods and services for personal use, whereas businesses buy them as a means to manufacture other goods or to resell them. Each group is unique regarding the individuals involved in the purchasing decision, the factors that influence the purchasing decision, and more. B2C usually involves 1-2 buyers, with at least one being the final user of the product. In contrast, B2B typically consists of multiple participants. These include all or some of the following types of people: the final users of the product, influencers, those who screen potential suppliers, and purchasing managers who must approve said purchases. With B2C, there are thousands of consumers who may differ from one another in terms of demographics and buying habits. But if they’re likely to purchase the same product, their needs, pain points, and desires are usually the same. In contrast, B2B usually consists of a few large buyers concentrated in specific geographic markets. Businesses generally stick with the same supplier for years, forming a long and mutually beneficial partnership. Additionally, psychological influences play a role in B2C buyer behavior, including perception of certain brands and beliefs. They become aware of a need they have. They begin searching for information to solve a problem. They evaluate the options available to them. They’re happy with their purchase and become repeat buyers, or they’re dissatisfied with their purchase and move on to a competitor. With B2B, the purchasing process also starts with awareness. However, given that there are more people involved, the road to actually making a purchase is much longer. Now that we have pointed out the 4 major differences between B2C buyer behavior and B2C buyer behavior, our second step is helping you, the business owner, hone in on the B2C buyers who are visiting your website. We believe that data really is the best tool you have in your arsenal for understanding B2C buyer behavior, and the type of analytics available is only going to get better as we progress technologically. However, we are not living in the future, and what we have now in the way of analytical tools is very much in need of improvement, as we attest to in this Viral Solutions blog post. 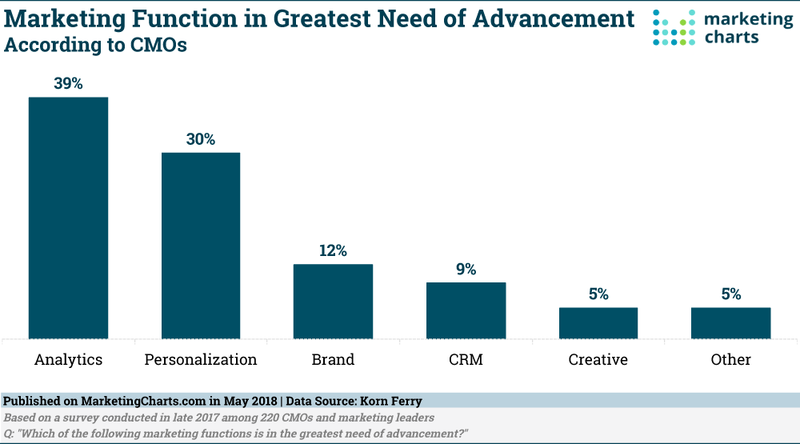 As you can see from the following study, analytics was considered the marketing function most in need of advancement. To understand where analytics is heading, read this this article from Beta News. A lot of exciting changes are on the horizon when it comes to analyzing both B2B buyer behavior and B2C buyer behavior. However, you are here NOW, reading this article, and you need answers TODAY. Ok, we get it. So how can you best use the analytical tools available to you RIGHT NOW to help you better understand B2C buyer behavior? We are confident that you are doing your best to try and tap into the behavior of your B2C buyer using your current analytical tools. Unify B2C Customer Data – You need a unified view of your customer behavior, not information that is spread across Google Analytics, Facebook, and your marketing automation platform. The way to do this is by including identity resolution technology in your analytical arsenal. This simply means you will be able to unify all of the data gathered from different places into one silo. Map Customer Cycle – The life cycle of each customer is a vital tool for all B2C marketers. It reveals how your current marketing efforts are functioning and how your loyal customers are behaving. 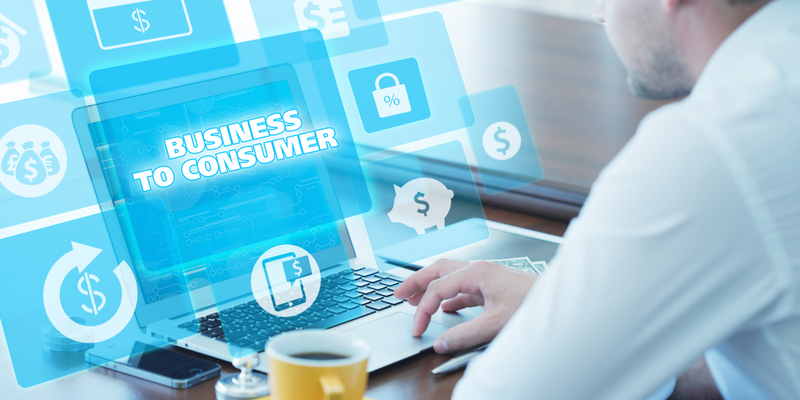 Understanding the life cycle of current customers, and seeing that all-important SECOND purchase, helps you make better marketing decisions for current and prospective B2C buyers. Even by just integrating the above 2 steps into your analytics arsenal you will be able to make more informed decisions about your current B2C sales strategy and get a much better handle on what people are doing when they visit your website. We must admit to what we do not know, but we should also try and make informed decisions by learning new ways of looking at B2C behavior. In doing so, you can increase the likelihood of attaining sales success in the B2C sphere.